Morse, Roger A. The Complete Guide to Beekeeping. Dadant, C.P. First Lessons in Beekeeping..
Aebi, Ormond & Harry. Mastering the Art of Beekeeping. Volumes 1 & 2. 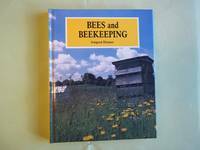 From The Art and Adventure Of Beekeeping to Bee Keeping, from	Swarming to The Philosophy and Practice Of Bee Keeping, we can help you find the beekeeping books you are looking for. As the world's largest independent marketplace for new, used and rare books, you always get the best in service and value when you buy from Biblio.com, and all of your purchases are backed by our return guarantee. 2010-01-07. Good. Ships with Tracking Number! INTERNATIONAL WORLDWIDE Shipping available. May not contain Access Codes or Supplements. May be ex-library. Shipping & Handling by region. Buy with confidence, excellent customer service! 2016-04-05. Good. Ships with Tracking Number! INTERNATIONAL WORLDWIDE Shipping available. May not contain Access Codes or Supplements. May be ex-library. Shipping & Handling by region. Buy with confidence, excellent customer service! Hamilton, IL: American Bee Journal. Hardcover. 1954. Revised Editio. Thin 8vo 127pp . Very Good with no DJ. B&W Photographs. Binding is green cloth . Ink owner name on front and rear pastedowns. Endpapers foxed . Medina, OH: A. I. Root Company. 1932. Magazine. Very Good with no dust jacket; Edgewear. ; Articles inside include Beekeeping in Germany, Sweet Clover In Kentucky, A Year's Work for the Queen, and more. Filled with great vintage Photographs and advertising. Magazine is complete and in very good condition, slight wear at edges. ; B&W Illustrations . State of Iowa, 1918-01-01. Hardcover. Good-. . GOOD-. Black cloth boards, no jacket, bagged for protection, approx. 5.5'' x 8.5'', faded covers, chips to edges, small bumps to corners, shelf wear, large hinge-split interior front cover at page after fly page..<p> Once Read Books, cover scan available - just ask, OnceReadBooks com<p> Orders shipped via USPS. 2010-04-05. Good. Ships with Tracking Number! INTERNATIONAL WORLDWIDE Shipping available. May not contain Access Codes or Supplements. May be ex-library. Shipping & Handling by region. Buy with confidence, excellent customer service! Hamilton, IL: Dadant & Sons. Edge wear and rubbing, small pen mark and a couple small spots on front cover. Spine cracking at center of book, no loose pages, interior is clean. . Good. Soft cover. 1999. 2009-04-05. Good. Ships with Tracking Number! INTERNATIONAL WORLDWIDE Shipping available. May not contain Access Codes or Supplements. May be ex-library. Shipping & Handling by region. Buy with confidence, excellent customer service! Hamilton, IL: American Bee Journal. Very Good with no dust jacket; Spine rubbed and discolored, page tops dust . stained.. 1941. Revised Edition. Hardcover. Green cloth. Black and white photos, index. Revised edition of a classic text on beekeeping as an occupation. ; 127 pages . Weston-Super-Mare: I. A. L. Snelgrove , 1942. Hardback, gilt titles and illustration to front board. 98pp. Frontis. 6th edition 1942. Boards slightly marked, with damage to tail of spine. Previous owner's bookplate to front pastedown. Private ownership. (an46). Hard Cover. Good. Chalmington, Dorchester: Prism Press [1975 - 1982]. Two volumes, well illustrated with drawings by Eric Mathe, octavo, pp (8), 184; 283, slightly used internally, paperbacks, covers slightly used and age-toned.. Paperback. Good. Dadant. Rev. Rep. Ed.. pp.127 with b/w. photos. 8vo. Name to half-title. A nr. fine softback. London: Macmillan & Co Ltd, 1912. Illustrated, including five coloured plates, octavo, pp xiv, 283, upper corners very slightly bumped, slightly weak internally, brown cloth with gilt decoration on the upper cover, corners bumped, joints rubbed, spine head and tail slightly pulled. [With the pencilled signature of the Suffolk naturalist Nancy cracknell on the front endpaper. ] VERY SCARCE.. First Edition. Cloth. Good. Dadant & Sons. Very Good with no dust jacket. 1981. First Edition. Hardcover. 8vo 8" - 9" tall; 128 pages . 2004-07-26. Good. Ships with Tracking Number! INTERNATIONAL WORLDWIDE Shipping available. May not contain Access Codes or Supplements. May be ex-library. Shipping & Handling by region. Buy with confidence, excellent customer service! Medina, OH: A. I. Root Company. 1969. Magazine. Very Good with no dust jacket; Edgewear. ; Articles inside include British Hives, Honey For the Holidays, The Drone Escape, Florida Beekeepers, New Uses for Honey, A. I. Root, and more. Filled with great vintage Photographs and Christmas advertising. Magazine is complete and in very good condition, slight wear at edges. ; B&W Illustrations . The Author., 1935. 2nd. Ed.. pp.xi, 96 with b/w. illus. 8vo. Hardback. Presentation copy from L.E. Snelgrove to Rev. G.G. McElroy (April 1935). Neat update to p.36, likely in Snelgrove's hand (dated June 1936). Contents in nr. fine condition. Original blue-cloth binding in nr. fine condition. Medina, OH: A. I. Root Company. 1970. Magazine. Very Good with no dust jacket; Edgewear. ; Articles inside include Market for the Small Honey Packer, High School Bee Project, Future of Beekeeping, Vermont's Red Clover Trail, and more. Filled with great vintage Photographs and advertising. Magazine is complete and in very good condition, slight wear at edges. ; B&W Illustrations . Prentice Hall & IBD, 1982. Revised Ed.. Trade Paperback. Fine. Insects Book is in excellent condition. Binding is solid and square, covers have sharp corners, exterior shows no blemishes, text/interior is clean and free of marking of any kind. 127 pages with charts, b&w photos, graphs, diagrams. Purnell and Sons, 1936. Hardback, original decorated cloth. vii, 96pp. 1936 3rd edition. Slighrt rubbing to spine ends. Front board faded to edges. Inside, previous private owner's details to title page. Contents clean and unmarked. A decent copy. (AL22). Third Edition. Hard Cover. Good+.